Enhancing the way we look has never been so easy and there are seemingly an infinite number of beauty products available to us to make this happen. Many are not only readily available online and carefully curated by websites with recommendations too, but are also there to be purchased at prices that perhaps fall into the category of ‘cheap’ or ‘a bargain’. When it comes to aesthetics, re-vamping our make-up or toiletries bag is made simple with the likes of Look Fantastic and All Beauty websites that offer a massive range of discounted beauty products – all available to us at the click of a button. But when it comes to buying beauty in the form of cosmetic treatments, is there an option for those savvy shoppers in the hunt for more affordable procedures? In truth, should we be considering any aesthetics treatment, the most important aspect of this choice is not the financial implications, more the hours spent researching and preparing. ‘Time is more valuable than money’ as the business philosopher Jim Rohn once said and you are likely to lose out by racing into a treatment without planning. Rohn also said ‘make sure the outside of you is a good reflection of the inside of you’ and, although he was talking more about business than aesthetics, it is this point that needs serious consideration when it comes to choosing the right clinician for the procedure – and the results – you desire. The time element of cosmetic procedures should be reflected in quality care, the clinical results and the after care. You need to take time to choose both treatment and clinician. You should also allow time to see the results. Aesthetic procedures are very often a slow burner, which means the results take time to settle. This weekend, Comparethetreatment expert and #safetyinbeauty campaigner Antonia Mariconda urged us all to ‘do our homework’ when it comes to choosing the right clinician – qualified and experienced – for the right cosmetic procedure. 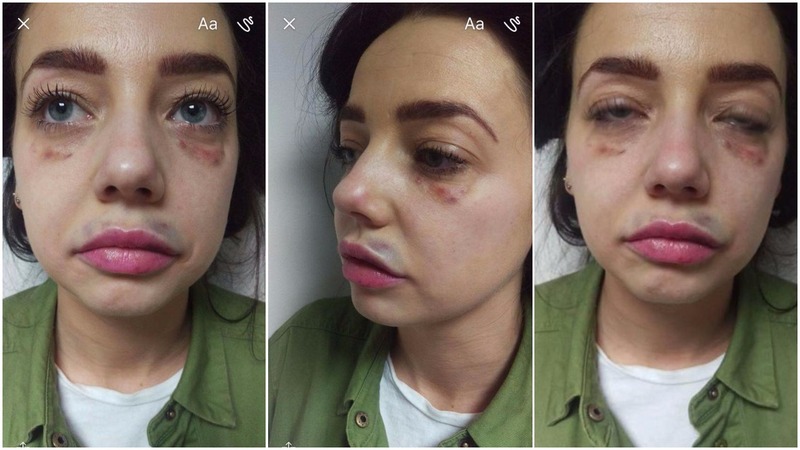 She posted these horrific images on Facebook and wrote: ‘British law needs to change and this is WHY.